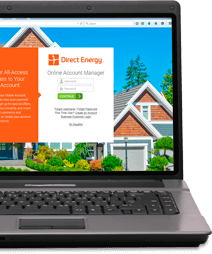 Transferring your Direct Energy electricity service is fast and easy! Not only is transferring your electricity service easy, but you can choose from a variety of plans with powerful benefits to select the one that is best for you and your family. Log into your Online Account Manager with your User Name and Password. Be sure to have your new service address, as well as the dates for stopping service at your old location and beginning Direct Energy service at your new location. Hover over the "Account Management" icon in the top navigation menu and click the "Transfer Service" link. You will be presented with a range of plan options and the current rates for those plans in your area. Fill out your new account information.